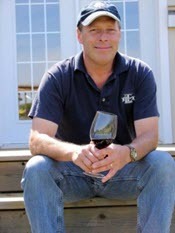 Flat Rock's focus is clear and simple - make the best Pinot Noir, Chardonnay and Riesling they can. Make wine that truly competes on the world stage and enjoy making it along the way. Visit the state-of the-art 5-level gravity flow winery, and soak in the spectacular views while sipping on a glass of their finest.